Washington, D.C., circa 1925. 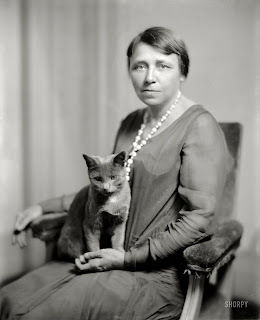 "Mrs. Thaddeus Caraway and cat." The cat's accomplishments are lost to history, but Hettie Caraway went on to become a two-term U.S. Senator, the first woman ever elected to that office.